Rust-Oleum Chalked Decorative Glaze allows you to add a custom antiqued finish to any Chalked paint surface. This semi-transparent Decorative Glaze has good workability allowing you to customize your handcrafted, final look. 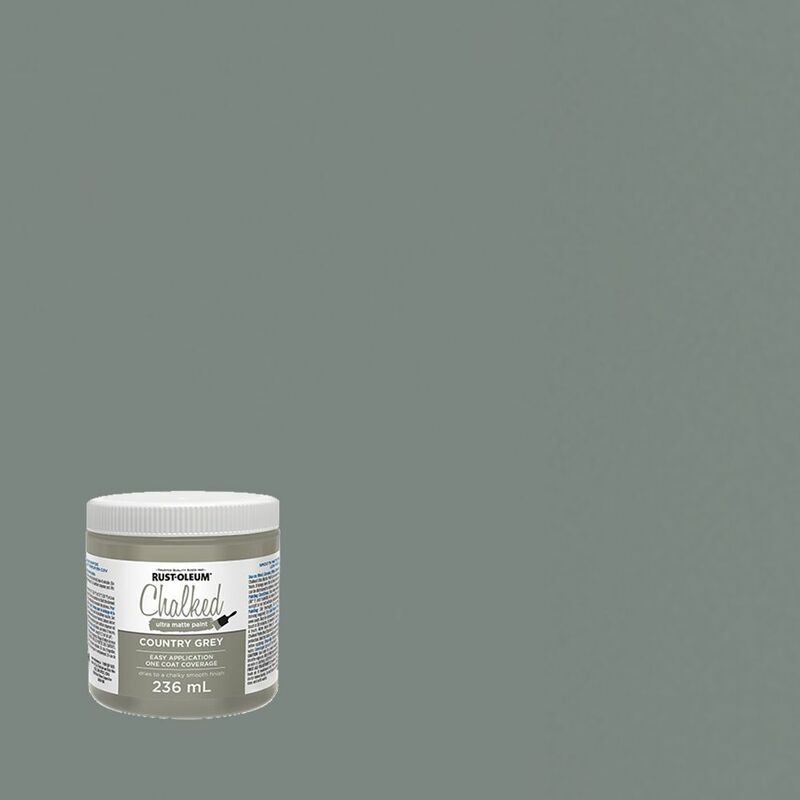 Chalked Paint Country Gray 236ml Chalked Ultra Matte Paint creates a matte finish that dries to a velvety smooth finish. It transforms and rejuvenates furniture and home dicor, creating a unique one of a kind look.